A rectangle is a basic element of website builder WebWave. It allows you to create simple graphic elements like rectangle, line or circle. In this article, you will learn how to build a website with any graphic shape. 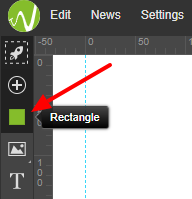 In order to add a rectangle to your website, select its icon from the toolbar on the left side of the builder and drag and drop it to your website. 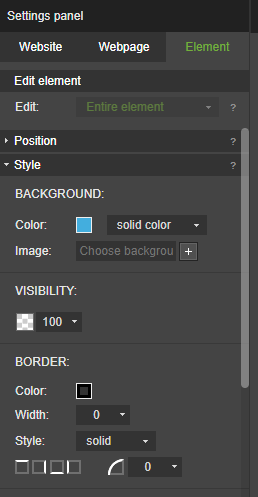 Edit element style in the Settings edition panel. Change size, alignment, transparency, background color, borders and shadows.